Polish prime minister Beata Szydlo has said EU monitoring won’t lead to sanctions, while keeping up Warsaw’s attack on Dutch commissioner Frans Timmermans. 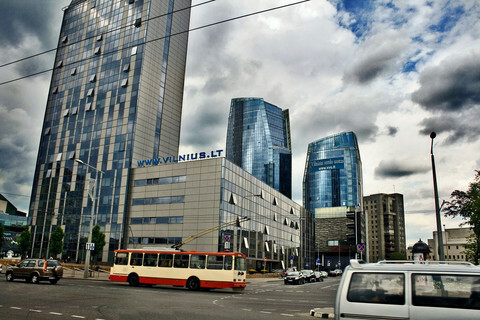 “There’s no risk of sanctions against Poland. The European Commission cannot impose punishments,” she told Polish TV on Thursday (14 January) morning. “There’s no extraordinary procedure, just normal proceedings,” she claimed. Speaking after the European Commission, on Wednesday, launched a rule-of-law supervisory process on Poland, she said she'd had a “quiet night”. 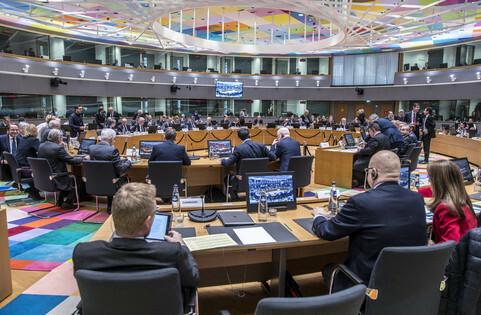 The move marks the first-ever time the EU has used the new instrument. The commission cannot impose sanctions. But it can recommend that member states do it, via the EU Council, including suspension of Poland's voting rights. Szydlo said the EU would get all the information it wants on government changes to the constitutional tribunal and state media, which, critics say, harm judicial oversight and free speech. But she continued to bash Timmermans, who announced the EU decision. Speaking shortly after a Polish minister accused him of left-wing bias, Szydlo queried his credentials on grounds that The Netherlands, his home country, has no constitutional court. She also said: “The commission vice-president [Timmermans] was recently awarded a prize by [Poland’s previous] president [Bronislaw] Komorowski, maybe that’s why he doesn’t sympathise with us [the new government]." The Polish foreign minister, Witold Waszczykowski, told the Reuters news agency on Wednesday that Timmermans is “incoherent” because he called for “dialogue” at the same time as triggering the EU process. 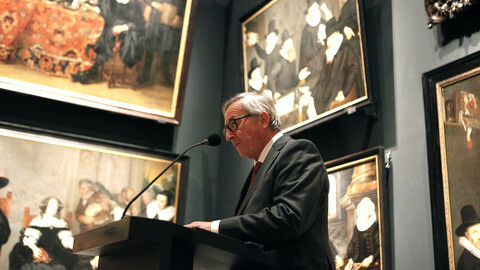 "This was a very incoherent statement by Timmermans. It creates more confusion than clarity. We will wait to see a decision in writing or else, should there be none, we will try to clarify things in some other way. The dialogue will take months," Waszczykowski said. Kazimierz Marcinkiewicz, a former Polish PM from Szydlo’s Law and Justice (PiS) party, said the party leader, Jaroslaw Kaczynski, won’t change because of EU finger-wagging. “I’m convinced that Jaroslaw Kaczynski won’t care about it. It’s not something that will influence him,” Marcinkiewicz told Polish TV. 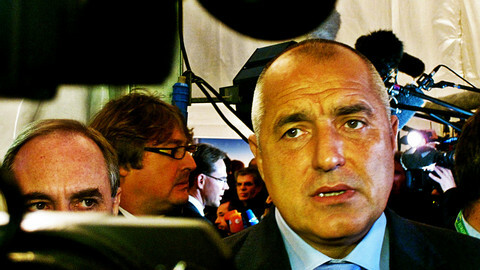 He predicted that upcoming reforms of the police and the prosecutor’s office will also alarm Brussels. 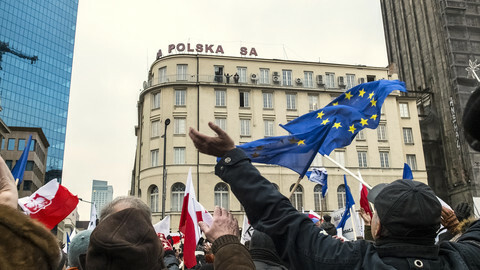 The Polish president, Andrzej Duda, a PiS loyalist, also on Wednesday told a meeting of Poland's overseas ambassadors that the EU needs Poland. “There’s no realistic European politics, especially in the eastern dimension, which can be realised while bypassing our country,” he said. “Poland in 2016 will still be an active and responsible member of the EU, of an EU which respects treaty freedoms, which treats all its countries in the same way and doesn’t create new barriers between them." 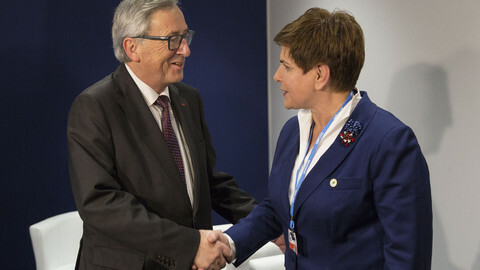 Polish sources told the Gazeta Wyborcza daily that, despite Szydlo's remarks, the PM was surprised by the EU decision. They said she felt, after speaking by phone with EU commission chief Jean-Claude Juncker on Tuesday, that he’d take a lighter touch. They also said she expected the Hungarian EU commissioner, Tibor Navracsics, to object to the Poland decision. For her part, Jadwiga Staniszkis, a Polish politics scholar, said on TV on Wednesday that PiS doesn’t get the EU. “I don’t think PiS wanted a conflict with Europe. It didn’t understand how its behaviour in the area of rule of law or on concentration of power would be seen as something from another civilisational sphere,” she said. “PiS doesn’t understand the West and the West doesn’t understand central Europe,” she added. “This conflict … harms the very fragile trust which we had in the West." 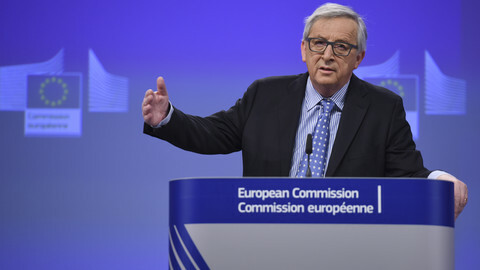 EU commission head Juncker has indicated he will avoid confrontation with Poland over its constitutional and media shake-up. 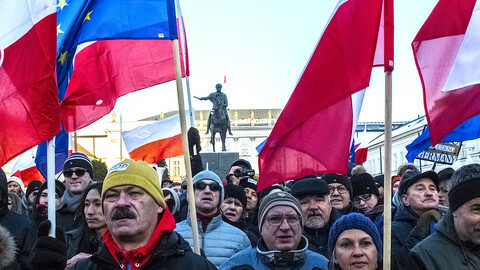 The Law and Justice party is chipping away at Poland's hard-won democracy. Now polls are showing that many people are unhappy with the changes, and a new alliance around the Committee for the Defence of Democracy has sprung up.